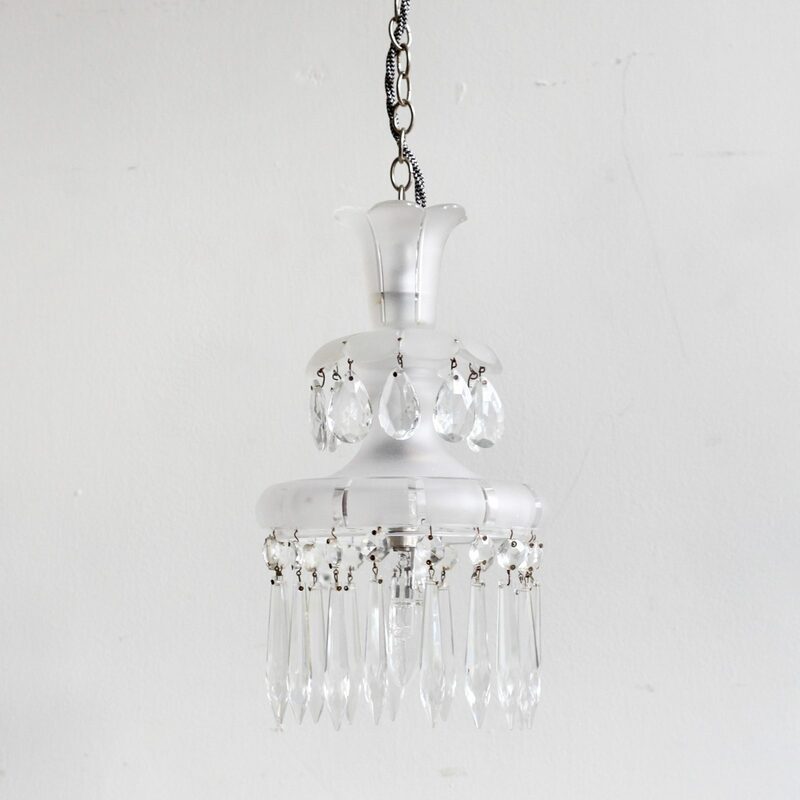 Frosted glass chandelier with cut glass details and crystal drops. Rewired with black and white braiding and nickel plated parts. The chandelier comes supplied with braided flex and chain, ceiling rose and a chandelier hook plate. Chandelier requires one SBC lamp, this is not included. Small chip in frosted glass petal edge. Please enquire for more information.